Are you looking for something to inspire you to get you working on your next movie? 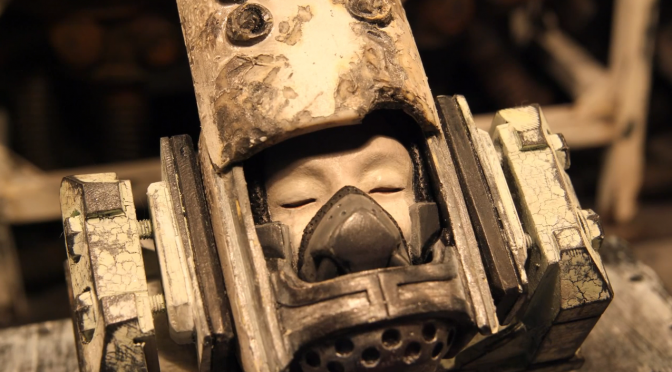 Then you have to see “Junk Head 1” – a stop-motion animated film by Takahide Hori. It’s brilliant. The full movie is 30-minutes long and Hori promises to make it available online in the coming weeks. But the 10-minute version (with English subtitles) is already available. Watch it below or on YouTube. The film is amazing on its own, but what makes it even more impressive (and inspirational) is that Hori made it almost totally on his own (he only had help with the few CG shots he used). With no budget and a regular day job to attend to, it took him four years to complete this passion project. As I said, amazing. Hori hopes to continue the story of the Junk Head in an one-hour feature sequel. But this time he will turn to you for help. Hori is creating a crowd-sourcing fundraising campaign for this project. Instead of seeking money from corporations, he is going directly to the people to find out how much appreciation and interest there is in his work. Filmmakers of his talent and dedication deserve our support, so, hopefully, enough of us open up the wallets. I certainly am ready to donate. So, stay tuned for this fundraising campaign and help spread the word about Hori’s “Junk Head 1”. To visit Hori’s website, go here – unfortunately, at this point it’s only in Japanese.